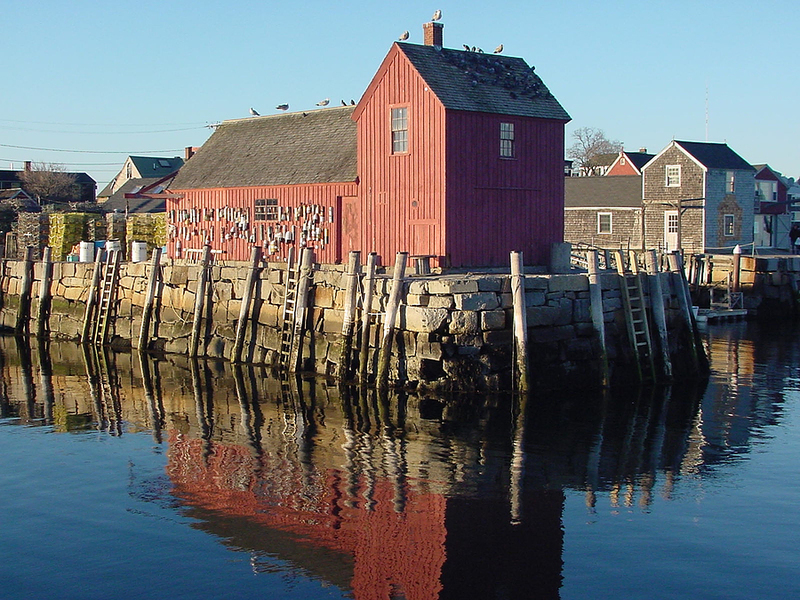 Smack in the middle of Down East Maine, are two must visit villages, of Camden and Rockport. 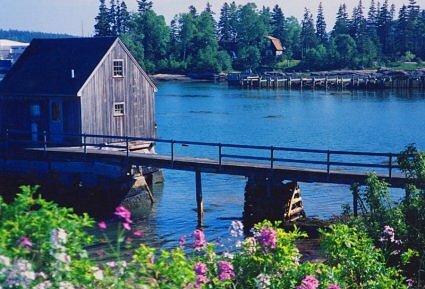 Camden is the quintessential Maine seaside resort, and south of Camden lays the thriving arts community of Rockport. Both have dockage available or safe harbors for anchoring. 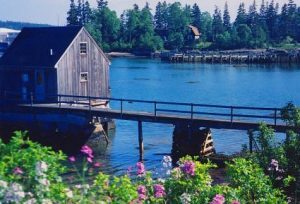 Go ashore, visit and explore these two well known Maine towns, for a taste of Down East. 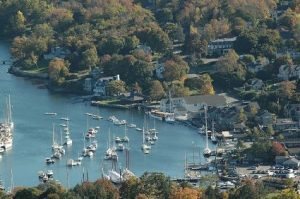 Located at the center of the state’s mid-coast region, the quaint town of Camden surrounds the sheltered harbor in Penobscot Bay, and, in turn, the town itself lies protected by steep sloping mountains. In fact, an easy hike up Mount Battie offers amazing views of the bay, Camden Hills and the town. Cruise the bay’s landmarks and not only will you spot seals but, the island retreat of John Travolta, Kirstie Alley and the Onassis family. However you may be spending all of your time taking photographs of this town and harbor of classic Maine homes and buildings.In Rockport, concerts are still performed at its 19th century opera house and the village is also home to The Center for Maine Contemporary Art. Both Camden and Rockport are home to some of the Maine windjammer fleet as well, many of which are National Historical Landmarks. While coming in or out of either harbor, you could be met by these historic sailing ships under sail, as always. There are plenty of superb restaurants in each town catering to the most discerning of palates. Or your Chef can create a Maine Seafood Sampler dinner right on board. Fresh native seafood is not just the ubiquitous, must have native Maine lobster. You’ll also find local scallops, mussels, clams, oysters, haddock, salmon and swordfish fresh from the ocean to your plate, which is all part of the Maine yacht charter experience.